Best off-road conditions all winter long. Train and Ride in Andalusia! Legal off-road riding for miles. 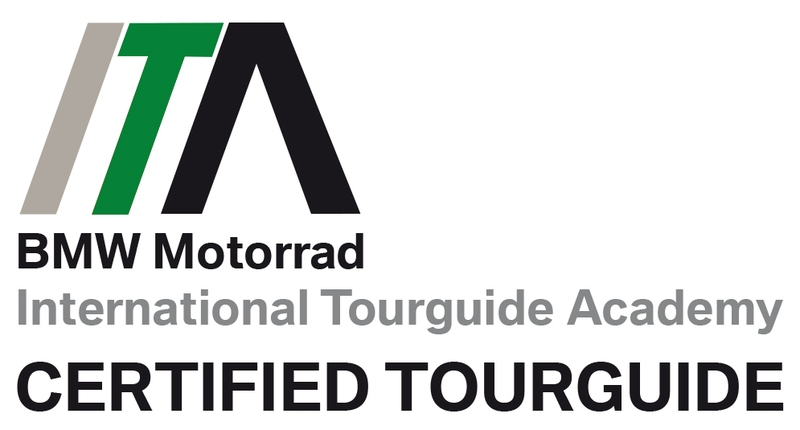 Plan your next adventure off-road tour with us! Have a look at our various options. 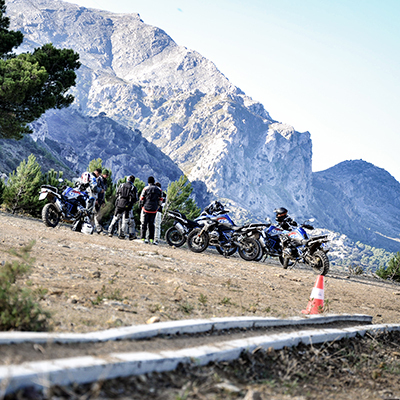 FOLLOW THE TRAILS OF THE INTERNATIONAL GS TROPHY 2020 AND GET AN IDEA OF WHAT THE GS TROPHY RIDERS HAVE TO ACCOMPLISH! 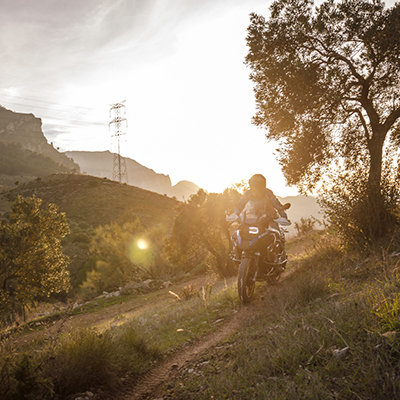 Experience the excitement of the GS Trophy for yourself as you traverse the rugged terrain on BMW Motorrad GS Trophy 2020 motorcycles! Our exclusive 9-day package takes you along the Trophy’s off-road trails, through water crossings and across the picturesque landscapes of the Trophy destinations. Next year: NEW ZEALAND! 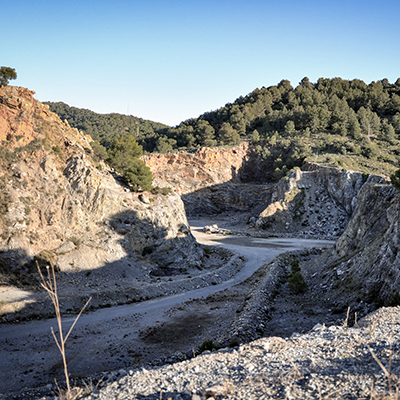 “Together with my friend we attended a two days training course at this awesome enduro park facility some 30km west of Malaga. 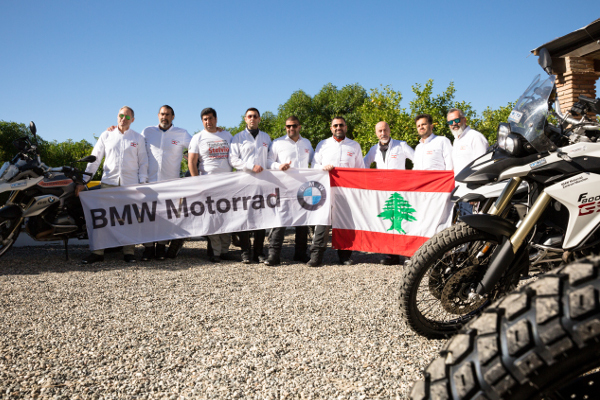 As complete off-road beginners we got a step by step introduction of how to handle the BMW R1200GS on gravel – the team did an amazing job and I couldn’t believe that I was able to apply the skills we had learned on the first morning on our first off-road track during an afternoon ride already ! 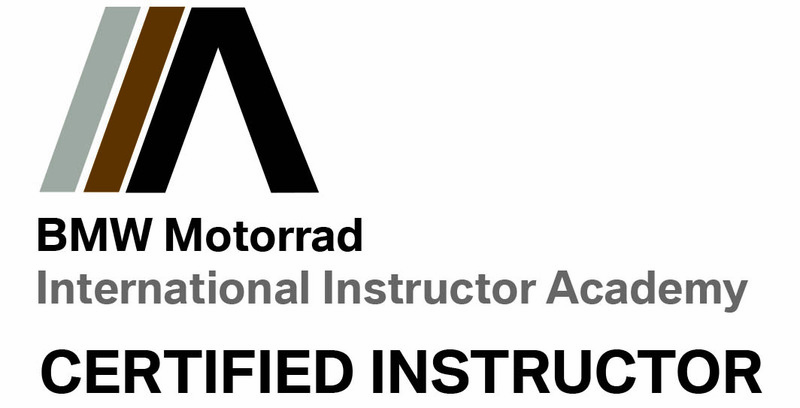 High quality instruction combined with an incredible training ground and mind blowing gravel roads in the vicinity to the park make this a first choice for learning and improving off-road riding skills and having a great time! 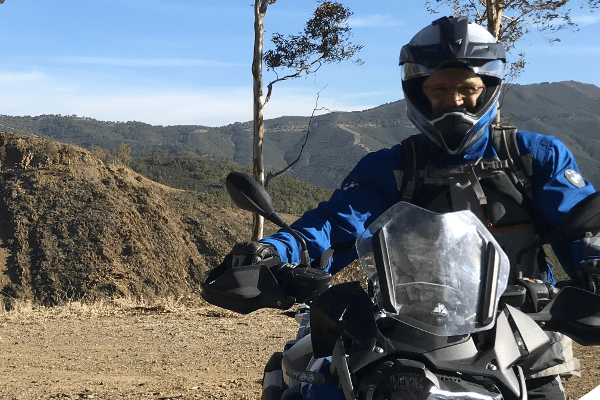 The provided BMW R1200GS Rallye motorbikes are amazing riding machines and it was unbelievable to experience what they are able to do once in motion ! A big THANK YOU to the complete Enduro Park Andalusia team for a fantastic weekend!